Join us for a one-hour picket as Chrystia Freeland hosts the coup plotters in Ottawa! This rally is being called in response to the hosting of a meeting of the Lima Group in Ottawa that same day by Canada’s Global Affairs Minister Chrystia Freeland. 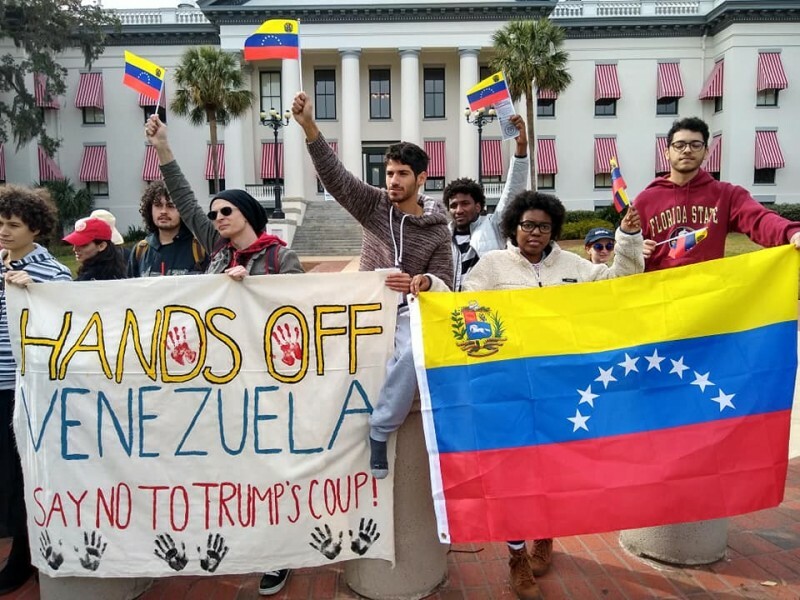 The Lima Group is the rump group of member countries of the OAS (Organization of American States) who lost the vote at the OAS to interfere in the domestic affairs of Venezuela. Such interference violates the OAS constitution. The Lima Group has embraced and is helping orchestrate the coup d’état of the democratically-elected Venezuelan government of President Nicholas Maduro. We call on the Trudeau government to take the pulse of the Canadian public and to support diplomacy rather than interference in the sovereign affairs of the Venezuelan people. Only the people of Venezuela have the right to determine their own future. We also call on the Trudeau government to end its recognition of the self-proclaimed presidency of Juan Guaido and its economic sanctions targeting the Venezuelan economy and punishing its people. Let’s send a clear message to the Canadian government that the undemocratic coup d’état they have wholeheartedly supported in Venezuela will only lead to civil war and the plundering of Venezuela’s oil and other natural resources by multinational corporations. Bob Bratina’s constituency office is located just north of the intersection of Centennial Parkway and Queenston Road, right across from Eastgate Square. The bus stops right at this intersection. The temperature is forecast to be four degrees Celsius that afternoon.